Co-founder of a Financial Success Training company -The Penny Drops. We help small business owners become financially successful. Karen’s background is in psychometrics & personality profiling and an MA in designing and building competency frameworks & assessing capability. She has also worked as a debt adviser. 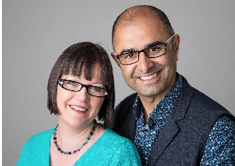 Karen with co-founder Jo Singh, founded her first successful business in 2004, they became financially free in 2012. Karen’s motivation to help small business owners who struggle with money comes from her early experiences when her Father’s business collapsed and they were forced to leave their home. Jo Singh is an NLP Master Practitioner with a science and medical background. His early experience of having a very successful manufacturing business go through a slow and painful death until it was successfully outsourced to China inspires him to help others going through massive and constant change in their businesses. 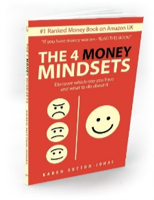 Jo Singh has always created money from businesses – never relying on earning money from a job. They live in the Peak District.